Cambodia is a beautiful country, rich in culture, customs and religion. Here are a few tips you should know before packing that will help enhance your trip to the Kingdom of Wonder. Tuk tuks are a common mode of transport across Cambodia | © Tang Yan Song / Shutterstock Inc. Most tuk tuk drivers at hotels will have a working knowledge of the city but don’t expect others to, even if they claim to know where they’re going [see above point on Loss of Face]. It’s best to vaguely figure out your route first, or use Google maps to direct you. Don’t be fooled into thinking pointing it out on a map will help because when it’s being read upside down and the driver is vaguely pointing somewhere, you’ll sharp realise many can’t read maps either. Get practicing your haggling skills because unless there’s a price tag, the cost is negotiable. Expect to pay inflated prices because you’re a tourist, but never agree on the first price because it will be at least double. Walking away often helps because they’ll call you back; if they don’t then you know you’ve pushed them too far. Remember to agree on prices for tuk tuks and motorbikes before jumping in to avoid hiked up prices when you try and get out. Cambodian currency is the riel but the American dollar rules. Generally, riels are only used for small transactions – under a few dollars – with dollars used otherwise. Small change dominates in Cambodia, so don’t expect to pay for your tuk tuk with a $100 or even a $20 note. Also, remember to keep notes crisp because many places won’t accept torn ones, especially of higher value. Wrinkled $100 bills are also often not accepted. 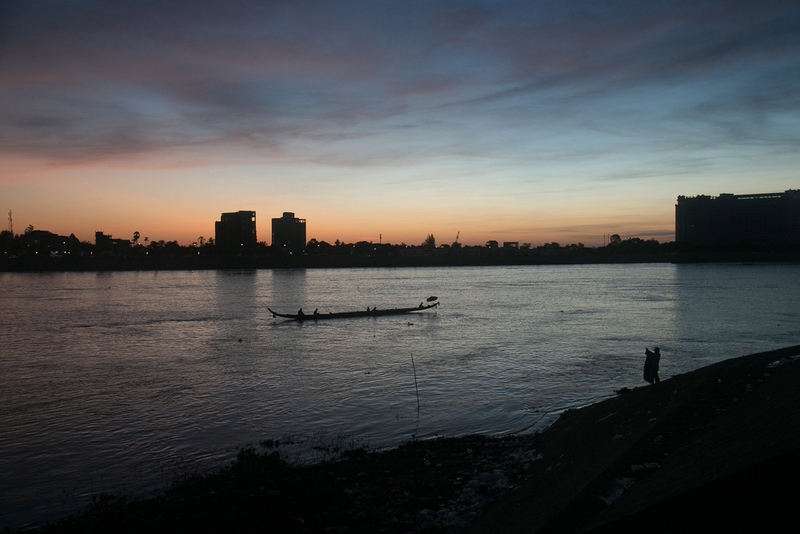 Despite the rising economy and swelling middle-class, poverty is rife across Cambodia and tourist hotspots come coupled with both begging and selling. Kids often sell books, bracelets and trinkets at bars and restaurants throughout the day and night. No matter how cute they are or how convincing they seem, don’t fall into the trap of buying or giving as this only serves to fuel the cycle. NGO Friends International has devised a series of tips for travelers. Visit www.childsafe.org. 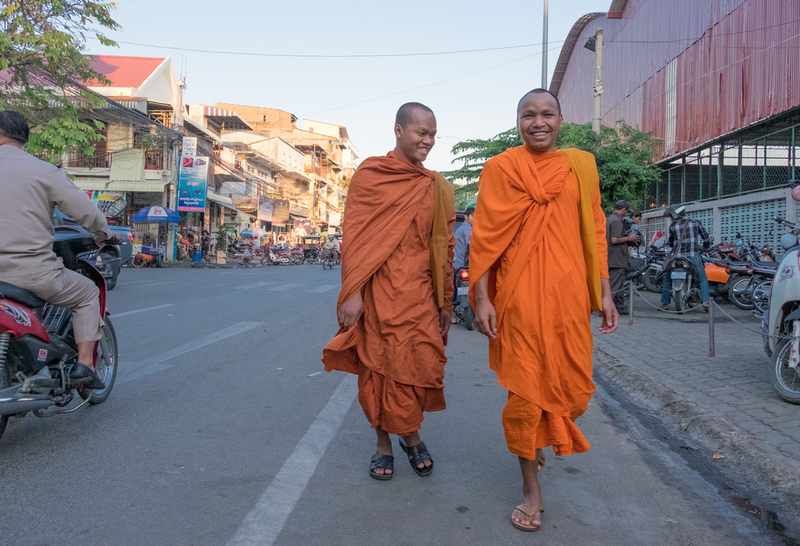 Due to Cambodia’s relentless heat and humidity, the day starts early in Cambodia with most locals rising at dusk and the day moving into full swing by 8am. With any sensible person avoiding the outdoors during the midday heat, the mornings are the best time to take trips to the market, stroll the streets and visit temples. This also means early bedtime, with many local restaurants closing their kitchens at about 9pm. 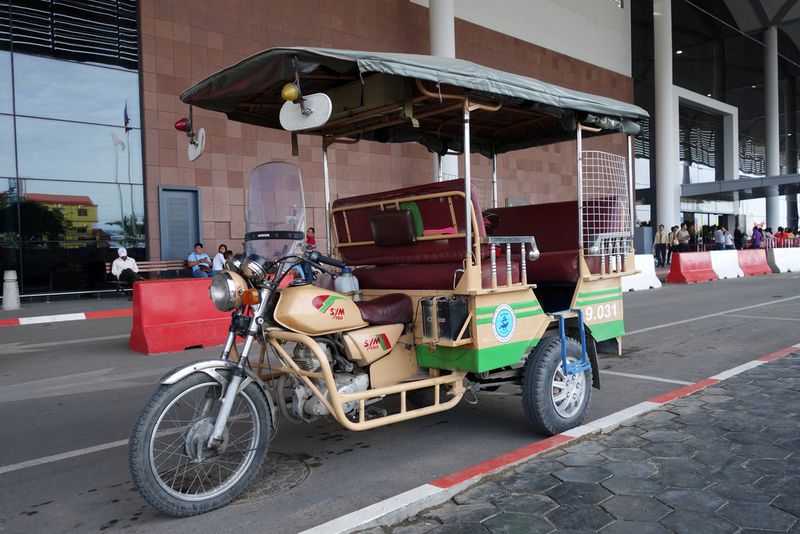 We don’t expect you to become fluent in Khmer but picking up a few bits really does go a long way – notice the pleasant surprise on your tuk tuk driver’s face when you say hello.